Three crewmembers of the Big John were safe after the shrimp trawler broke apart in the surf near Frisco, scattering debris onto a large area of the beach. At 5:20 a.m. today, National Park Service pangers were called out to help the U.S. Coast Guard and Hatteras Island Rescue Squad in a search for an overturned vessel near Cape Point, according to a NPS statement. 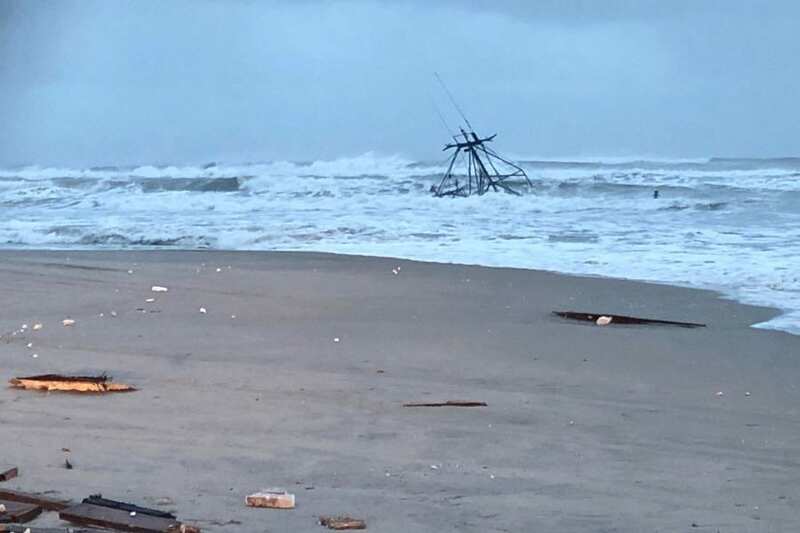 The vessel out of Wanchese was found broken apart a half mile north of Cape Hatteras National Seashore off-road vehicle ramp 49. The three-person crew was found alive and taken by ambulance to the hospital for medical evaluations. 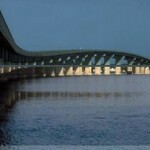 The cause of the accident is unknown. “I am thankful that the crew of the Big John survived this morning’s wreck,” National Parks of Eastern North Carolina Superintendent David Hallac said Monday. 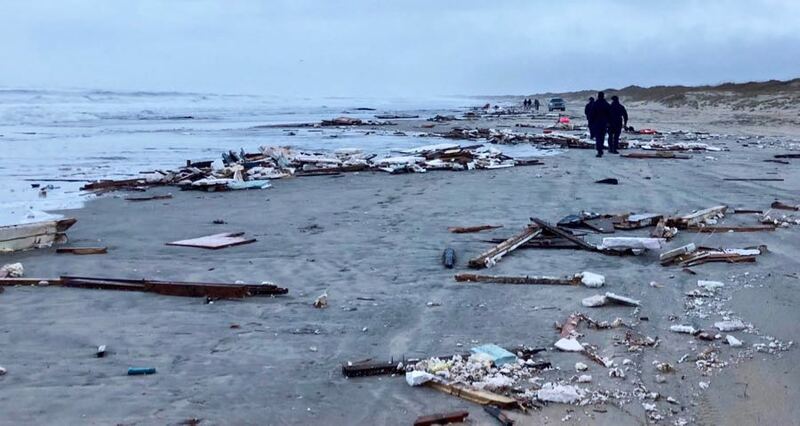 “Tomorrow morning, Seashore staff will be back out on the beach to clean up the remaining debris field. Due to a large debris field, the beach between ORV ramps 48 and 49 is temporarily closed. The debris field contains nails, wood, and other potentially hazardous objects. Cape Hatteras National Seashore is seeking volunteers who would like to help National Park Service staff clear the debris. The beach cleanup will take place Tuesday, Feb. 5, from 10 a.m. to 2 p.m. Individuals interested in volunteering should meet National Park Service staff at the entrance to off-road vehicle (ORV) ramp 49 in Frisco, North Carolina. Once the beach is cleared it will be reopened. For beach access updates, go to go.nps.gov/beachaccess. I am so glad the crew is alive and well! Micah your link isn’t working it takes you to the sign in page for GoFundMe. But isnt of using a site that takes so much of the money donated would you consider doing some sort of fundraising locally?